Traveling for work is much different than going for leisure. Business trips can get quite hectic, with all those demands, deadlines, people to deal with and meetings to attend. After a hard, stressful day, business travelers will surely appreciate having a relaxing, comfortable and spacious place they can retreat to. 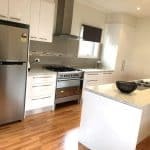 L’Barza offers a wide range of serviced apartment options for long or short-term stays within Shepparton. Our executive rentals in Shepparton give you more space to get comfortable in. It’s a home away from home which transforms your business trip into a more enjoyable experience. You get quality, hotel-like accommodations and personalized service with all the bells and whistles of living in a home. 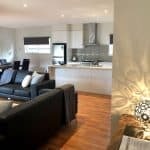 Businessmen, families, students, and tourists can all enjoy the benefits of serviced apartments in Shepparton. 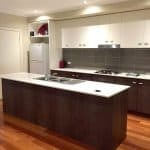 Hotels are often one of the more popular choices when planning to stay for a short time in Shepparton. Frequent travelers know the amenities and the various services they can get when staying in a business hotel. While it’s true that there are conveniences, staying at a hotel can also present some headaches, mainly if you’re waiting for a while. The costs can quickly balloon up and get out of hand. If you haven’t crossed off the accommodations list yet, consider an extended stay Shepparton apartment for an optimal experience. 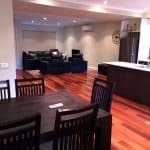 L’Barza presents business travelers with a wide array of Shepparton executive rentals that rival that of a hotel. Our rooms are fully furnished and are twice the size of any hotel room in Shepparton. The costs are cut by up to half as compared to staying at a standard hotel! 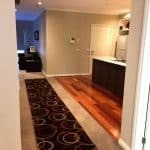 So when you’re packing some luggage for a business trip, going to Shepparton on a family vacation or staying due to extended business reasons, there’s no better way to relax at the end of the day than a serviced apartment located right in the heart of Shepparton. Worried about bringing too much luggage to stuff in hotel closets? With serviced executive apartments, you can carry everything you’ll need to be at your business best. Our Shepparton corporate housings are fully furnished, and they include cleaning laundry facilities so you can wash your own clothes during long-term stays. There’s no need to downgrade hotel accommodations just to fit your business budget. 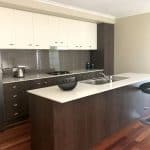 Shepparton serviced apartments provide all the luxuries of a 5-star hotel at a very affordable cost. You get a comfortable, stylish living space with all the amenities of home. This means you can cook your own meals and not be limited by a hotel menu. Have we mentioned they all include housekeeping service? One way to plan a great business trip is to find Shepparton accommodations if the majority of a business itinerary is located within it. L’Barza has some excellent locations within Shepparton for all travelers. Plan to shop all day long in boutiques and shopping centers? Want to have access to the best restaurants and a bustling nightlife? Looking for the softest place where you can take public transportation to different places? Serviced apartments are the key. Hotels are all about providing convenience. Due to limited space and inability to get comfortable, you’ll sometimes feel that you’re just another tourist in a strange city. 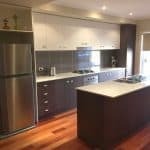 Serviced apartments in Shepparton are the top choice for those who are looking for a home away from home. The relaxed vibe and comfortable furniture, plus the ample living space allow for maximum recuperation and rest. Businessmen and all travelers can look forward to Shepparton, as it is a popular destination for professionals and tourists alike. It’s an understatement to say that Shepparton has everything for everyone! Get a chance to experience all Shepparton has to offer by staying with L’Barza. 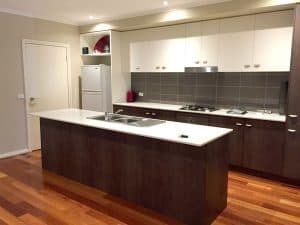 If you’re looking for extended stay Shepparton apartments, furnished living spaces or comfortable serviced apartments, then L’Barza has what you need. We have a variety of options that can fit any budget. 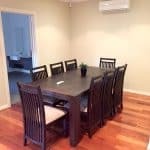 If you find yourself booking a business trip to Shepparton, make sure to visit L’Barza for first executive rentals in Shepparton. We can make your trip much more enjoyable than staying in a cramped hotel room. Our mission as a leading corporate accommodation service is to make every business stay, whether short or long as comfortable as possible. You’ll come to appreciate our fully-furnished apartments, complete with functional kitchens, laundry areas and spacious living rooms for your perusal.